Almost everyone is into photography now which is why DSLR cameras are selling like hotcakes. If your child is starting to show interest in taking pictures but you really don’t want to splurge on a camera, there’s no reason why your tot can’t pursue his/her hobby. Fisher Price makes digital cameras especially for kids. 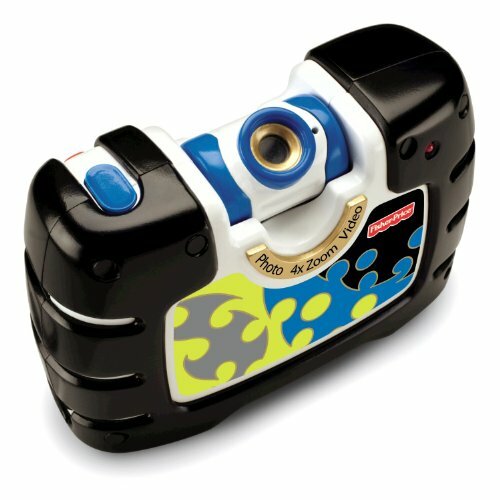 The Fisher Price Digital Camera’s size is perfect for your little one’s hands. It has easy and kid-friendly controls. It has a 1.44 TFT colored screen, built-in memory that can store more than a thousand pictures, 0.3 mp imager and 4x digital zoom. What’s cool about this camera is its enhanced imager so your child can still take beautiful pictures even in low light conditions. You can download different software to add more fun! 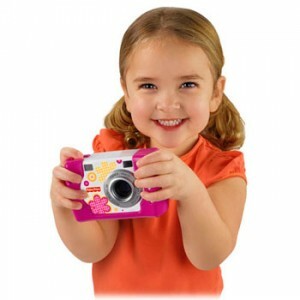 This will make a perfect gift for your little princess who loves taking pictures. The look on her face when she first sees this pretty pink camera is just priceless! It’s not really a play camera, it’s a real digital camera that is built to survive even when your tot keeps dropping it. The camera is especially designed for your child’s small hands. Don’t worry about the controls because they are child friendly. Kids can have so much fun taking pictures and viewing them instantly on the color screen. 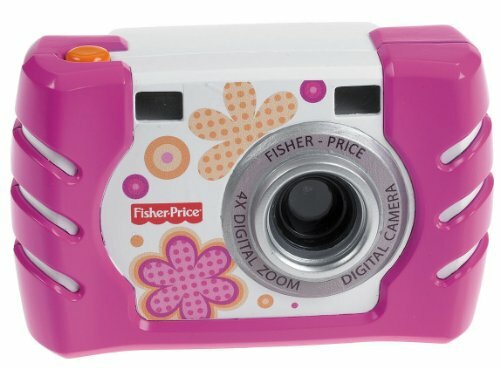 The Fisher Price Kid-Tough Pink Digital Camera can store up to 2,000 pictures. You can download software so you can add special effects to your pictures like frames and stampers. 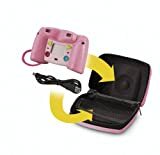 This pink digital camera case will go perfect with your tot’s pink Fisher Price Kid-Tough Digital Camera. This will make it more convenient to take the camera anywhere. It provides plenty of space and a separate compartment for better organization. This digital camera case is lightweight and easy to tote around. It’s a great present for anyone who owns a Fisher Price Kid-Tough Digital Camera. You can also use this camera case if you are feeling a little too girly. Yes, you can definitely fit your grown-up camera here! The Fisher Price Kid-Tough See Yourself Camera features a rotating lens (see the video below on how to rotate it) so your child can take a picture of themselves or others easily. It has 4X digital zoom, 1.8 TFT colored screen, 256 MB memory and SD slot. If you want to store more pictures, all you have to do is insert an SD memory card. You don’t have to worry about your kid dropping the camera because it is built to endure drop, after drop. This camera can also record videos with sound! To make your pictures look more interesting, you can add frames, backgrounds and other built-in special effects. Want more special effects? You can always load your photos into the downloadable software and choose among the borders and other cute effects. Can this camera be any cooler? Ready for more cool features? With the Fisher Price Kid-Tough See Yourself Camera, editing and sharing have never been this easy. Use a USB cable to connect the camera to a computer then download the pictures so you can view and edit them. You can download the Fisher Price software online. Feel free to use special effects! You can organize your photos and the best part is you can make them into cards, books, photo album so you can share it with your family and friends.